As the most populous city in Texas, everything really is bigger in Houston, including the love shown to small businesses. More than 99% of Houston businesses are considered small and the Space City ranks 15th in friendliness for small business owners. The more businesses there are, the fiercer the competition, which is why so many rely on marketing agencies in Houston to share their message of value with consumers. Doing a simple search for “top advertising agencies in Houston” might put you off the agency hunt altogether, as top search results are simply ad agency lists with no specifics on which solutions each agency provides or what they can deliver in terms of marketing ROI. It’s a time-consuming process and your efforts are best spent elsewhere. Wouldn’t you like to meet them? Contact your local Valpak for Houston advertising tailored to your business industry, marketing goals and budget requirements. We’ll show you how advertising in Valpak with a top-performing offer to your core audience at the right frequency can provide marketing success like you’ve never experienced. Because The Blue Envelope® is a shared direct mailer, businesses split the cost of each mailing, making direct mail advertising more affordable for each business. 1. Claritas data with current year projections. November 2018. Billboard Advertising in Houston, TX – Does It Work? Would a billboard ad reach and engage your ideal customer? Why would you pay to reach people that may not want what you offer? What tools, if any, can you use the gauge the effectiveness of your ad? Can you easily measure your return on investment (or any other KPI)? Do billboard ads drive you, as a consumer, to take action? Why not? Is billboard advertising the best use of your marketing budget? There’s a better way to advertise in Houston: digital marketing and direct mail. Results are tangible and trackable. Valpak of Greater Houston can help you target your best customers from the 640,000 high-income households that receive our local coupon ads each month and the thousands more looking for your business online. Check out our product and services and contact your Houston advertising consultant for a free marketing analysis today. 60% of people expect brands to provide “information they need when they need it” but less than half feel brands are delivering. It’s essential for your business to select a Houston advertising and marketing agency that understands the immediacy demanded by today’s shoppers. One that advocates for omnichannel marketing to reach consumers no matter where they are in the purchase journey. Together, direct mail and digital advertising give consumers the freedom to evaluate and purchase from your business via their preferred channel, which only serves to increase the ROI of your marketing efforts. While Valpak is best known for its direct mail prowess, we’re also the local digital marketing gurus. Our team has the great distinction to be recognized as a Google Premier Partner for our expertise in Google Ads and all things digital. We can help you determine which of these Houston digital marketing services would best benefit your business. Your business website should show and tell your story, your way! Our team of web development experts will work with you to help you tell your best story to the most people. Choose from a templated website or create your own design with custom content, colors, photos and more. We build your website to be mobile-friendly and responsive to the screen size on which its viewed (smartphone, desktop, laptop, tablet). From hosting and domain registration to tracking, reporting and analytics, everything you need for a robust website is included. Search engine marketing (SEM) is internet advertising placement used to direct traffic to a website, typically displayed on search engine results pages. Advertisers bid on keyword phrases relevant to their target market and pay the host each time their ad is clicked. Paid search is one of the quickest methods to help a website actively compete online. We increase or decrease keyword bids on an hourly basis, ensuring your marketing dollars are hyper-focused when and where consumers are searching for the products or services you offer. Display advertising utilizes the vast reach of the Google Display Network and YouTube to advertise your business to potential consumers who are viewing similar or related content on other sites. Display ads help you find new customers and engage with your existing customers through targeting. You can even remarket to people who’ve recently visited your website or app. There are multiple packages available, based on your ad budget and marketing need. Talk to your Houston advertising team at Valpak to explore this digital marketing service. Search engine optimization (SEO) can increase the quality and quantity of organic (unpaid) traffic to your website. By optimizing the content on your website, you’ll improve the visibility of your business in search engine results. In addition to keyword research and Google algorithm monitoring, our SEO services include optimizing site tags, titles, text, photos and videos and submitting your website to various directories. Results are monitored with the assistance of Google Analytics and other reporting tools. Start driving more traffic to your website today. Social media marketing should utilize fresh, relevant content to expand the reach of your brand and message to your ideal demographic. Choose Valpak to grow your fan base on Facebook, Twitter and Google+. You’ll work with your own social media manager to discuss account creation/branding, content strategy, posting schedules and other optimization efforts for success. We’ll help you make the most of your social media accounts to have real conversations with your fans and followers. Boosted posts and reporting/analytics are included in all packages. Introduce your business to local consumers and extend the reach of your offers with a business profile on valpak.com, the Valpak app and our network of websites, apps and directories. Customize your profile to include a marketing message, up to 3 offers, a contact form, map and directions, photos, videos, social media and website links. You can easily track performance with metrics on views, clicks, prints and calls. Optional upgrades for ongoing SEO optimization and multilocation businesses available. Reach new consumers with our best-selling direct mail format. Coupons are mini-billboards that incentivize local consumers to try and come back to your business. Custom design your own insert or choose from hundreds of proven designs. Through 50+ years of historical data, we can recommend the best offer for your business depending on the industry and time of year. Your Valpak Houston marketing team can also help you determine the optimal frequency and reach of your campaign as well as the results you can expect to achieve. Local businesses that need more advertising space than our traditional coupon insert should seriously consider adding flyers and circulars to their direct mail marketing strategy. Consumers can’t help but notice these larger print formats. Use flyers and circulars to promote your seasonal events (anniversaries, sales, etc.). They also work well for community business organizations, multilocation businesses wanting to target around underperforming stores or businesses that need bulk orders to hand out at trade shows, industry expos or in-store for customers. Available in mini, standard and oversize versions, as well as uncoated finishes and various paper thicknesses, cardstock solutions serve a variety of purposes – from Business Reply Mail to customer loyalty cards. You can easily monitor redemptions with cardstock via a unique code on each piece that enables you to track response by geography and ensure one-time use when necessary. Match back to a consumer’s address is also available to identify which households have redeemed your offers. Achieve maximum response for your marketing dollar by integrating solo postcards into your Blue Envelope program. You can reach new territories, promote time-sensitive events and seasonal offerings with messaging and formats tailored to your brand. Reach every household in desired ZIP codes (no mailing list required), choose your target customer from 300 specific demographics/behaviors, use your own customer list to retain/win back clients or introduce your business to consumers who’ve recently moved to your area. Reach 640,000 targeted households monthly in Greater Houston, including Katy, Cypress, Tomball, The Woodlands, Conroe, Kingwood, Humble, Atascocita, Sugar Land, Pearland, Clear Lake, Friendswood and League City with Valpak of Greater Houston. 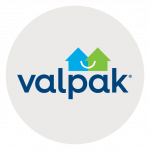 Valpak of Greater Houston is an independently owned Valpak franchise.